Lifespan is a topic that undoubtedly fascinates us. Cases of extreme longevity are regularly featured in the media, where individuals with extreme lifespans sometimes become symbols of national pride for their fellow citizens. French-Canadiens are no exception. The case of Pierre Joubert, born in 1701 and erroneously believed to have lived to the ripe old age of 113 years old – as was featured in the Guinness Book of Records – was cited by Joseph-Charles Taché, a senior official in charge of Canada’s 1871 census, as an exemple of how French-Canadians formed “a population that, more than any other, perhaps, offers numerous examples of high longevity“. The problem is this topic, in an historical context, is prone to a lot of myths and exaggerations, so much so in fact that a majority of high longevity claims end up being proven false. The ages declared at the time of burial were particularly inaccurate, especially in the case of elderly individuals. Most people being illiterate, the documentation relative to a person’s birth wasn’t necessarily available or used, and the accuracy of the deceased’s age in the burial record was not considered important, being mostly an approximation. Thankfully, the wonderful information compiled by the Programme de recherche en démographie historique (PRDH), publicly available on the PRDH-IGD.com website, allows us to mitigate the issue of inaccurate ages in burial records. By linking the birth and death dates available through baptism and burial records, it is possible to accurately determine an individual’s age at death. Thanks to this compiled data, it is possible to establish clear trends in the shifting of the mortality rate over time, as well as track the apparition of the first centenarians in the province. We can see that the first five French-Canadian centenarians were women. While Marie-Élisabeth Dechavigny, one of the very first inhabitants of the country, reached the age of 99 years old in 1748, it is only in 1825 that we see an individual reach the 100 year mark. Not only that, Marie-Louise Plante is believed to have lived to the very respectable age of 107 years old! 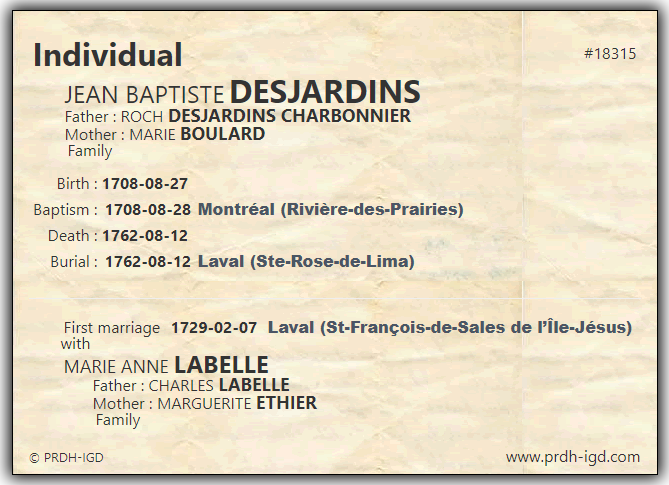 François Parent is the oldest French-Canadian male listed in the PRDH database(1621-1849), dying at the age of 99 years old in 1834; no French-Canadian man reached the age of 100 years old before 1850, and as such, the first male French-Canadian centenarian still remains to be identified! 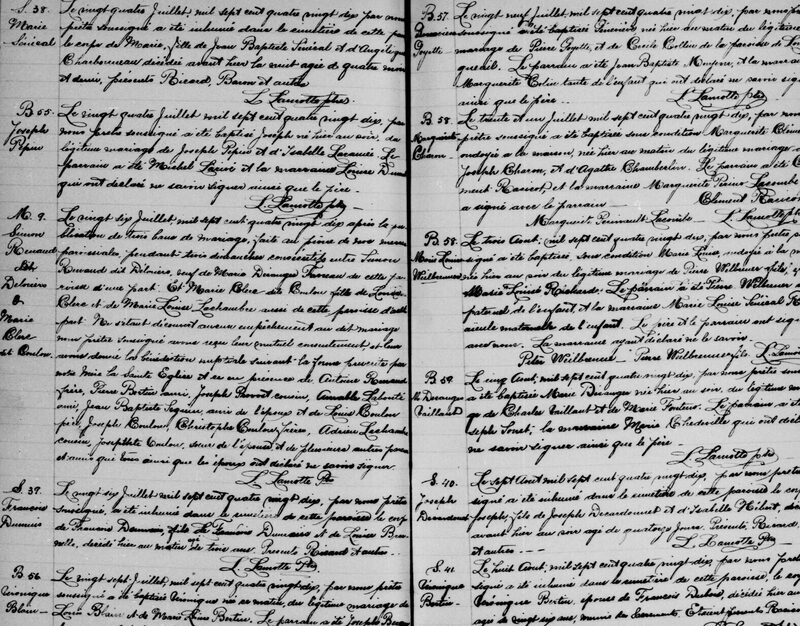 Previous PostPrevious Even More New Content on Genealogy Quebec! How far back can you research your ancestry in Quebec? Genealogy and surnames : What Your Name Says About your Family’s History? Is It Possible to Find Your Ancestors as an Adopted Child?